Your friend has always been by your side. Whether you needed a shoulder to cry on or a voice to cheer you on, you could always count on her. For your friend's birthday, give her a gift that will show your affection and excitement to celebrate her. 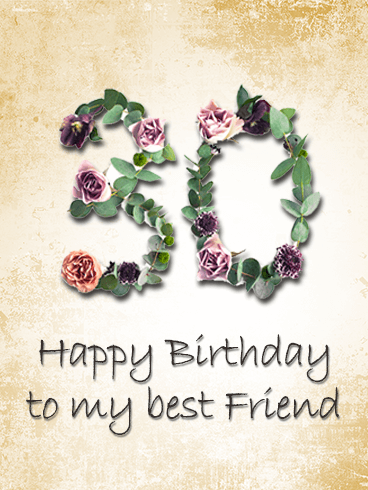 You want to give her the best, so send the beautiful flowers on this Happy Birthday card to make this an amazing day! It's your birthday? Time to pop some bubbly to celebrate such a special day! The best way to celebrate any birthday is with a party filled with your best and closest friends! Like the classy party on this Happy Birthday card, happiness and love flow as much as the drinks, which makes the very best birthday celebration. Raise a glass to your loved one on their special day! 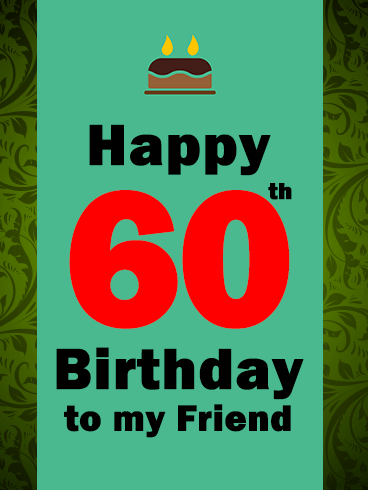 This is a fabulous birthday card to have on hand for anyone in your life approaching sixty years of age! After all, it's easily customizable, yet it's absolutely perfect just the way it is! The pinks and purples and blues and yellows really bring this birthday card to life, the balloons and presents are the perfect way to celebrate, and the sweet sentiment could make anyone feel loved! Just look at those gorgeous balloons! 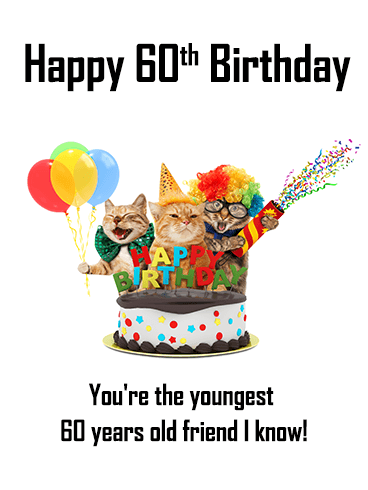 This birthday card is almost enough to make anyone want to turn sixty! The shades of pink and white are stunning, and the font is equally elegant. 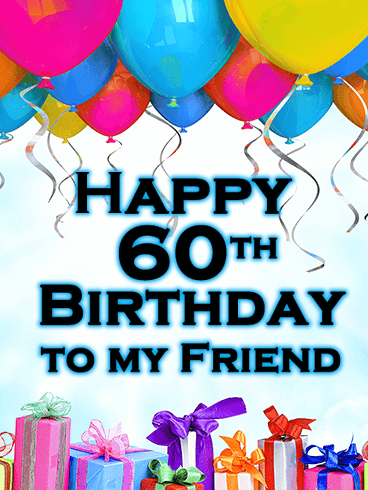 The shading of the front box leading to the faded background just catches the eye, and, of course, the birthday girl will be glad to know you think of them as a friend! This birthday card is truly one-of-a-kind. The green colors make it stand out from the typical bright birthday colors, but the message behind it still remains strong. 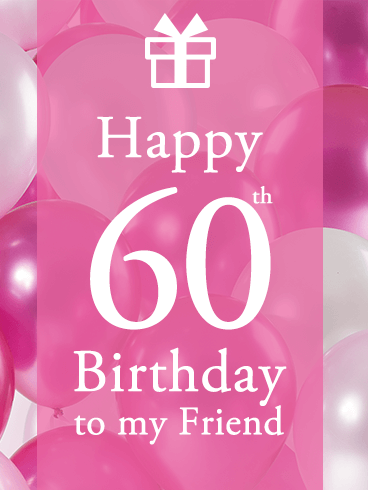 For the friend in your life who is all about simplicity and celebrating their sixtieth birthday, this is the card you've been looking for! It's simple, it's classy, and it'll make their day. 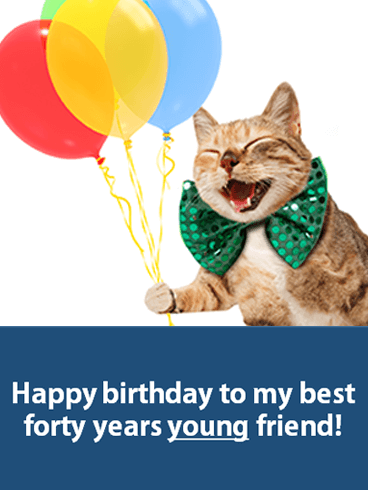 This is a great birthday card to have on hand, especially if you and your friends are nearing the age of forty. 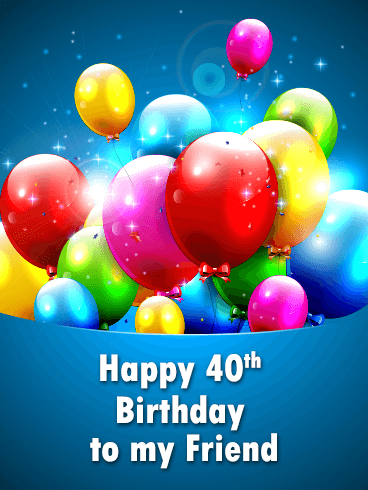 The birthday card is bright and sweet enough to make someone's day, but generic enough that it can be used for any one of your friends turning 40! The bright-colored balloons make this birthday card tons of fun, and the sparkles in the background help take it to the next level! 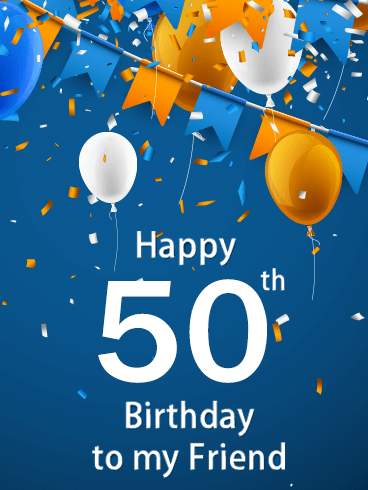 Looking for a birthday card for that special someone turning the big 5-0? We've got to covered. The shades of gold and blue are simple yet elegant, and the birthday card is generic enough that you can customize it to your liking. 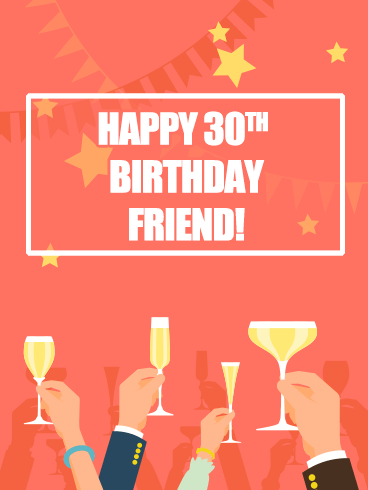 Whether it's a new friend in your life or a friend you've known for decades, this birthday card is the perfect choice.